To be honest, “it works” don’t mean the same as “supported”. Officially supporting something requires resources, especially for a server product like SQL Server. 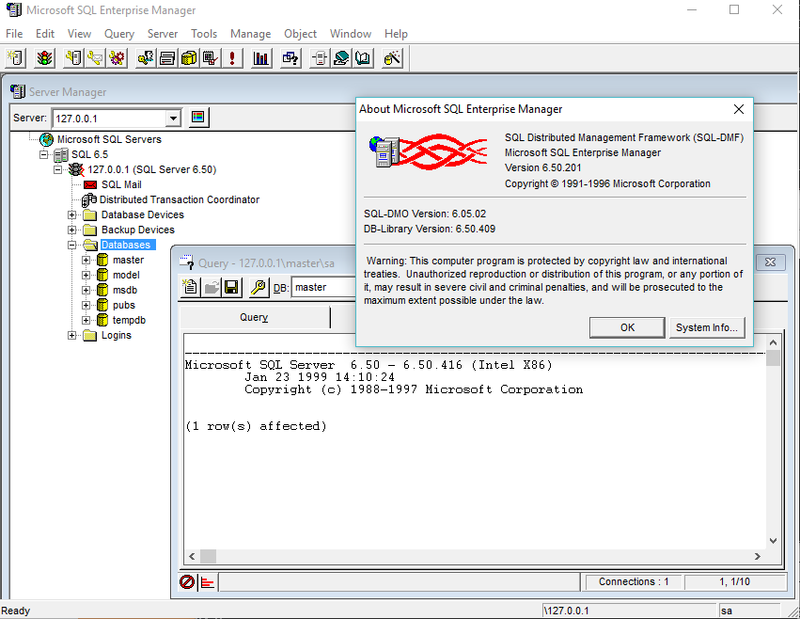 If my life really depended on SQL Server 6.5 I would be using NT 3.51 on either native hardware or on VMWare/KVM. But for the sake of validation, I would try running it on a newer OS. The disk caching and drivers really don’t compare to the later OSes. Hi.. I am trying to install SQL Server 6.5 on my Windows 10 machine using your link (http://winnt31.superglobalmegacorp.com/files/sql60.zip). But I end up getting a pop-up message saying – ‘The setup program has detected that SQL Server 6.5 has already been install by neozeed’.  Would you please let me know if there is any workaround in fixing this issue? Thank you very much in adv.